Dave is watching everything … usually. It isn’t as helpful as one hopes. Welcome once again to my D3hoops.com men’s Top 25 ballot blog. This is just to try and provide insight on how one, single, voter of 25 tries to understand the landscape of Division III men’s basketball. This time of year, it becomes understood that teams, many teams, are going to lose especially when conference tournaments are in full swing. It also seems like February brings with it a new “understanding” for teams. With Regional Rankings out, teams have a larger target on their back. At the same time, others realize they are not in as good a position as they may have perceived previously. And conference races and tournaments change the mentality. Teams are fighting to get into tournaments or better seeding. Now a game that even a month earlier might have had no motivation for the lesser team, suddenly has more incentive and new importance. The top-dog is a sitting duck. Staying focused can be challenging as the regular season comes to a close. Then there is the other factor for a lot of teams: wear and tear. Some teams have maybe peaked a little early or have been banged up and vulnerable as the regular season comes to a close. It almost feels like some of the top teams see the end of February coming and let off the gas ever so slightly. They’ve had a good season, so far, and don’t realize it can come unraveled quickly if they don’t stay focused – something that is hard to do when mentally, and physically, worn out from roughly 18 weeks of a 20 week season (it’s 19 weeks officially, but 20 weeks on the calendar to some degree). It all adds up to a number of normally head-scratching losses and eye opening results. Teams are also stumbling or faltering coming to the finish line. In the meantime, others seem to found a second (or third) wind and are stretching winning streaks into conference changing results. Teams written off a few weeks or months ago are now back in the spotlight and teams thought to be the top of the heap are lost in it. This week it resulted in a Top 25 ballot I don’t really like. I debated about starting over half a dozen times. I even slept on my initial feelings only to then redo it a number of times over the first cup of coffee of the day. What I submitted, I didn’t like. I wasn’t going to like anything I submitted. This looks like Dave (yes, he’s that good looking!) contemplating ballot decisions this week (and most weeks). The strangest thing about this ballot and the number of losses: I only removed one team from my previous ballot. For reasons I may be able to explain below, I didn’t remove any of the four teams that went 0-2 this week. They all came came dangerously close to being punted individually or as a group in one version or another, but I wasn’t that positive of their replacements being any better. Wow. The Yellow Jackets are top five? Yeah. Considering they have only lost twice this season, haven’t lost since January 5, and have gone through some tough ODAC opponents recently, this is where RMC has risen to on my ballot. It seems high for where I thought they would end up, but I also thought they couldn’t get through ODAC play without more blemishes. This would very much be an “under the radar” team despite their ranking. We should have probably seen a loss coming in MIAC play. There was no way any team in the conference was going to walk away with the season. I also have been waiting for the youth of this team to show their inexperience. I do not think the loss to Augsburg during a three-game week was because of youth, but I am also not surprised the Tommies didn’t get through the week. I moved them down because it is their third defeat and I do worry it could be an opening others can take advantage. I’ll wait and see. The Engineers are once again without the services of AJ Jurko who appears to be out with an injury (new or old, I am not sure). While MIT is still a very good team, Jurko seems to be what makes them click as the second leading scorer on the team. If Jurko (and everyone else) is healthy, MIT is going to be very difficult to stop in March. If not, this senior class is unfortunately going to have things end earlier than expected. Yeah. The Mammoths are flying up my ballot (Jumbo reference maybe? Nope, Tufts isn’t in this conversation). I had been debating even having them on my ballot for the last four weeks, but when you reevaluate what they are doing coupled with beating both Middlebury and Williams on the road and Amherst takes on a completely different look. They are going through a very difficult finish to the season and they are the only ones not losing in the NESCAC. One game left, against Hamilton, which has a lot of ramifications – despite the fact Mother Nature is trying to delay it for the second time. However, watch out for what Hixon has been able to get to work, because they could easily be a surprise team in Fort Wayne this year. Isaiah Hernandez seems to be the go-to guy for the Pirates recently. (Courtesy: Whitworth Athletics). My concerns the Pirates are “leaking oil” continue. Watching their games against Linfield and George Fox did not help with that worry. Yes, they won, but they barely survived. Compare that to how Whitman played the same two teams and it is night and day. Maybe Whitworth already peaked at the D3hoops.com Classic and though the Whitman loss in early January. The other problem, they may be left out of the NCAA tournament if they don’t win the NWC tournament (beating Whitman most likely) because their best win right now is against Johns Hopkins. There really isn’t anything I can say about the Sagehens. I don’t love having them up this high on my ballot. The SCIAC hasn’t really shown to be a beast of a conference and they have one game – one – of note: A win over Whitman back in late November. However, they have risen because while others are taking losses in conference, Pomona-Pitzer has escaped losing that kind of focus at least. I also didn’t feel the teams I slotted behind them have proven they can be as consistent. The Knights, Captains, and Colonels (what a great trio of mascots!) rise because of a vacuum created a bit last week moved a little down the ballot to this area this week. Those four teams which went 0-2 caused a number of teams to slide up. I have brought the Tigers back to my ballot thanks to the accurate point by Ryan on Sunday’s Hoopsville. 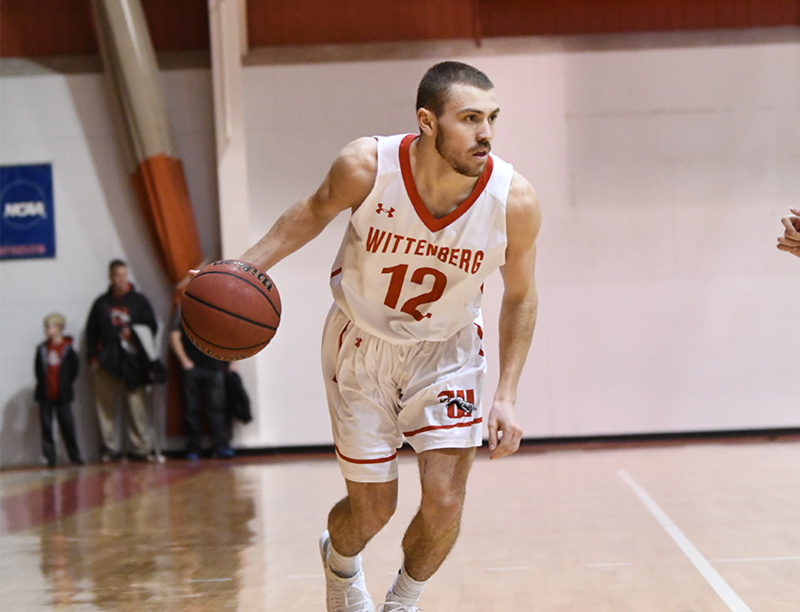 Wittenberg stumbled and looked like they were going to limp to the end of the season, but they seemed to have fixed the flat tire and have come storming back taking out Wooster to split the series this season. They seem to be back to playing good basketball, though I don’t think they are the Top 10 team I thought they were earlier in the season. First team that went 0-2 last week. I saw the loss to Mount Union coming. I think the Raiders are sneaky good. However, that didn’t wake Marietta up and they proceeded to lose to a challenging Wilmington squad as well. This is now three losses (all on the road) in four which probably should have had me pull the rip cord and let the Pioneers go. These kinds of stretches can completely derail a season. Two home games remaining before the conference tournament where Marietta is going to have to win on the road at some point to prove themselves. I feared the Cardinals could have a rough stretch. Losses this week to Illinois Wesleyan and Wheaton after a big win over Augustana is one thing, but BOTH losses were at HOME! Here was another team I considered just pulling off my ballot altogether, but I wasn’t sure if there was any teams I would replace them with that were absolutely better. We shall see, for now. The Ephs have ephed up things down the stretch. Three losses in a row including home losses to Amherst and Hamilton. If anyone (me) thought the overtime loss, on the road, to Bowdoin would be the perfect wake up call, were wrong. Williams was sitting off my ballot in at least half of my previous versions. I decided to hold off that idea to see what happens in the NESCAC tournament. Williams has a week to compose and find themselves because the very good Williams team of earlier in the season seems like a distant memory right now. The Little Giants are now 3-2 in their last five games including a loss to DePauw this past week. Here is another example of after the fact I am second-guessing the reasons I left a team on my ballot this week. Ultimately, I didn’t think four losses on their resume were worse than other teams’ resumes. I really worry Wabash, as good a season as they have had, peaked early. They are at Wittenberg this week – probably another reason I should have pulled them out this week, right? The Duhawks didn’t move down my ballot because of anything negative. I just felt that those ahead of them, despite stumbling, were still better than Loras. Interestingly enough, I may have had Loras higher had I pulled the teams on my ballot out and replaced them with others. I still think the Quakers are a good team and playing well, but they were on a short leash to begin with before losing to Roanoke this past week. With so many teams with four or more losses, there are a lot of teams to consider each week and I just felt as good as Guilford had been playing, a loss would indicate they weren’t necessarily better than anyone else. Yep … this sums it up. As you can see, I am torn with a number of teams. While I only dropped one squad this time around, I probably had a reasonable argument to drop four more. And it came down to this: either I was pulling all five or just pulling one. I couldn’t pull just one or some of the four teams left on my ballot (Marietta, NCC, Williams, and Wabash) without pulling them all because they all had the same reasons for either going or staying. When I pulled those four teams, I was left trying to find four teams I thought were better. While there are teams with very good (or better) records, their resumes aren’t necessarily better. Or their results are not against the same quality opponent the quad-group faced in their losses. None of them lost to bad teams. Others’ wins over bad teams just do not compare … for now. With conference tournaments starting this week, a better grasp of who is playing their best is possible. That said, there will be more losses because remember: Parity. 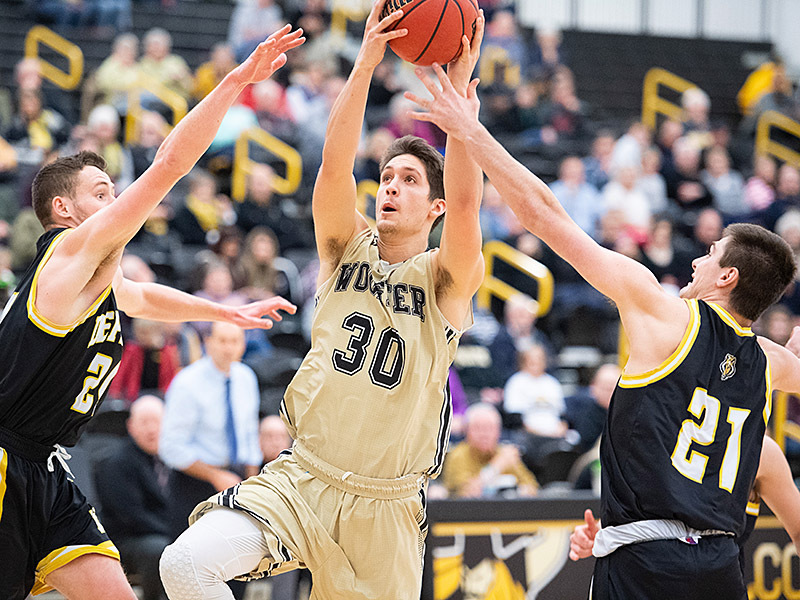 Welcome to my weekly (kind of) blog that breaks down my D3hoops.com Top 25 men’s ballot. I apologize for being a little late on this. UW-Stevens Point Investigation had me a bit “distracted” earlier in the week. This week featured a lovely vacuum in the middle of by ballot. Losses by each of the teams from 9 to 13 on my ballot from last week plus other losses and such created a huge hole where I wasn’t really sure where to put teams. 12 teams on my ballot (yeah half) suffered 13 losses. That results in a lot of questions, research, moving of teams, and other considerations. I like Ryan Scott’s approach where he basically started from scratch each week. However, I don’t like going completely from scratch. I have moved from being more slaved to my previous order to a hybrid effort. Some teams I feel comfortable with I move around accordingly. Other teams and sections of the ballot I don’t hold firm to where teams were previously placed. In the past, I certainly was more prone to simply move teams, that continued to win, up when there were holes by losing teams ahead of them. It wasn’t the best idea and I didn’t do it all the time, but it was an inappropriate habit that didn’t necessarily create the best ballot. As the years have gone on, I have changed my voting habits many times. I am now to the point where, with some teams, I move them up because that’s where they fit. Other teams either don’t move at all despite spaces open above them, some are added anywhere on the ballot if that’s where they seem appropriate (I would only add in the bottom in the early days), and I leap-frog teams a lot more than in the past. I will even move teams down despite the fact they are winning. Ok… that was a lot. My basic point is that this week I ran into a circumstance where the middle of my previous ballot had faltered, and I wasn’t really that confident with what teams to fill those spots. Moving some teams up didn’t feel like the right decision, but that would mean teams I no longer felt were the “x” ranked team would not move at all. It caused me to seriously scratch my head and come up with some interesting decisions. With that, let’s just get to the ballot. I may not put in a lot of thoughts for these teams, but it can still give you an idea how this single voter is considering things. A reminder, here is last week’s ballot. Augustana was tripped up in the CCIW which should have surprised no one. The Vikings losing in the CCIW is the least surprising news this year. Of course they were going to lose in the conference. I am not surprised they lost at North Central. Per that, though, the reason I moved them down is games have been a bit closer than I would have expected in the last few weeks. Some games have been in hand, but games against Carroll, Elmhurst, and Carthage give me pause. It was nice to see the Vikings explode against North Park. I write something here only to say, I never considered moving the Tommies into my Top 4 despite Augustana’s loss. I think the top four are their own entity. Losses in that group, unless getting to excess, will most likely result in just a rotation in that top four. St. Thomas is good, but I am also nervous that this young team is flying a little too close to the sun. Yeah… the Continentals are all over my ballot and I couldn’t really tell you why. Depends on when you ask me the question. There are times I am bullish on only two losses, outscoring opponents by 20+ points, and other strong “on paper” items. There are other times that I am more bearish on what Hamilton is doing this season. Results against opponents I didn’t think should be close (Tufts) or turnover-plagued games concern me. And sometimes, I probably just over think it. Hamilton jumps up thanks to the fact that I am more bullish right now and the vacuum allowed significant jumps. Ryan describe Swarthmore well on Hoopsville Monday night – saying a lot of how I feel. They are a darn good team, but sometimes they don’t seem to be in the right gear on offense. Having seen them, I have the pieces of a very dangerous team that could get to Fort Wayne … but then they have results like a loss to Ursinsus (who is good, but …) and a close game to Haverford causes me to shake my head. The Garnet is very good … trust me. The vacuum on my ballot really cased some craziness. Heck, the Scots weren’t even on my ballot a few weeks ago (they were on my radar). I am finally bought in. Here is another example of a great conversation with Ryan on Monday’s Hoopsville. We finally see the Scots are actually for real and understand the three-game losing streak in December was just … weird. The Pirates might be leaking oil. No, a loss to Whitman didn’t surprise me. Basically not being in that game (until late) and then nearly dropping the game against Lewis & Clark later in the week is surprising. I couldn’t tell you exactly what’s wrong. Illness certainly could be a factor as Kyle Roach wasn’t himself against Willamette (though, he played 32 minutes) and he didn’t seem 100% against Whitman, but coaches will tell you that isn’t an excuse (Logie actually did say that on the Hoopsville Marathon). I just am worried Whitworth has boxed themselves into a corner. A win over Whitman would have been huge this season. They might not only play themselves out of giving the national committee a chance to shift them somewhere in the country the first weekend, but they may be in danger of not even making the tournament as an at-large team. Could the Johnnies have peaked too soon? It’s a thought I’ve had recently. Losses to Carleton and Bethel are … they can’t happen. 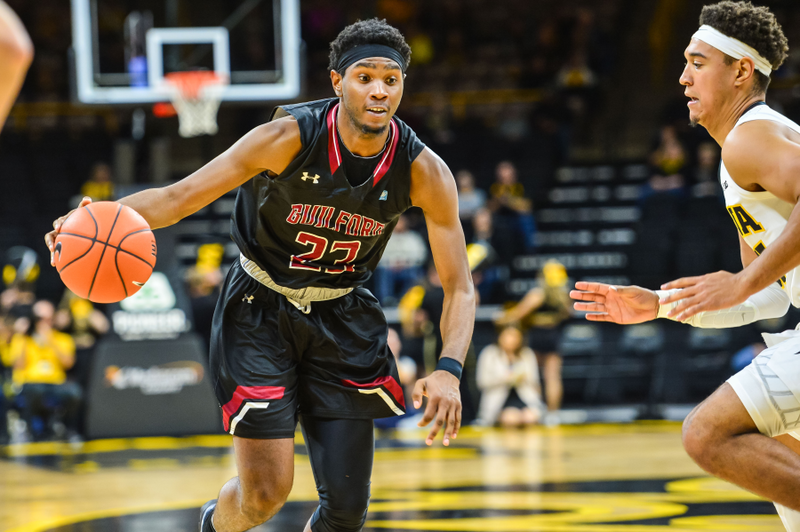 Coupled with a loss to St. Thomas already and SJU is in a spot where they now have to win out to be in a good position in the MIAC race AND stay in the conversation about even hosting, or being in a good pod, the opening weekend of the NCAA Tournament. Four losses … for a team that is far better than that. I should probably just direct you to my comments on Monday’s Hoopsville where I picked the Cardinals as my Dubious selection. I know they got a win over Augustana at home and they only have a few losses, but it feels like they are just getting by. A close win to Millikin throws up flags for me. And I know it took place a month ago, but I still can’t the loss to Ohio Northern out of my head. The loss to Bowdoin bugs me. That shouldn’t have been a game if the Ephs are as good as they have seemed. It was a great game by the Polar Bears, but it went to overtime and Williams allowed that to come down to a last second shot in the corner. Middlebury played the same two teams this weekend (in reverse order) and didn’t seem to have as much trouble. Maybe I am overacting. I just feeling somewhat bearish and have for a while. I can’t keep writing about every team, but some of these squads I am losing faith in how I felt previously. The Little Giants’ loss to Allegheny … was … it just … I mean … really? The follow up to a big game, and loss, to Wooster was a loss to Allegheny? By 12? I am very glad Wabash refocused to get past Hiram, but the damage has already been done. didn’t feel comfortable with a majority of them being consider “Top 25 squads.” Amherst feels more like a Top 25 team right now than the others. Just read the Amherst reasoning and consider Arcadia. I like the Knights and really like their defense. That said, I still don’t love their close results this past week. I actually second guessed this decision after the poll was released and it was too late to change my vote. That said, I am not really sure who I would have replaced Arcadia with. You cannot defeat the (then) number one team in the country and it is the FILLING to a loss-sandwich (Wartburg and Dubuque before and after). You also cannot lose to a team like Dubuque, rival notwithstanding, for the second time in the season. I know very well that Loras is a good team, but they are the definition of inconsistent right now. I was very tempted to drop them altogether, but a five-loss team that has recently defeated one of the top team in the country is going to get the benefit of the doubt, slightly, from me right now. So, I am now voting for the Captains, but I don’t have to like it! I am sure they are thrilled to read that. Some of the reasons I think CNU has the record they have is they are in what is a down Capital Athletic Conference. Their losses aren’t bad, but for some reason I can’t figure out what is about this team that makes them a Top 25 team (considering their ranking leading up to this week). Maybe I am missing it, but this week I voted because I had a spot and CNU was better than others I was considering – I think. Hopefully, I can learn more about the Captains on Thursday’s Hoopsville when John Krikorian joins us (knock on wood). I’ve been keeping an eye on the Colonels for a while now. Much like CNU and others, I am just not sure if Centre is that good or if the conference is a by-product of their success. Meaning: the wins are coming from a conference that isn’t able to compete. Centre also has a bad loss to Augustana, but I have also chalked that up to a team in this part of my Top 25 is probably not supposed to be on the same level as those in the top four or five. Thus, that result isn’t really a surprise. This is going to be short and simple: The Hornets have lost four in a row. No chance I can keep them on my ballot with those circumstances. With the Eagles it came down to this: The win over Stevens Point was very good, but the loss to Platteville not-so-much. That isn’t to say that the Pioneers aren’t good enough that it’s consider a bad loss, but for me it was the wrong game to lose last week. The WIAC is difficult, but the best teams need to rise above it. With a sixth loss, I’m a little nervous. The Pointers at least didn’t lose the wrong game last week (River Falls), but they did lose to Lacrosse. The decision came down to this: I removed Lacrosse and I couldn’t justify also leaving UWSP on the ballot; 14-6 is a hard record to keep on a ballot despite how difficult the record. As goes Francis, so goes the Thunder. I’ve said that before, but it isn’t entirely true. 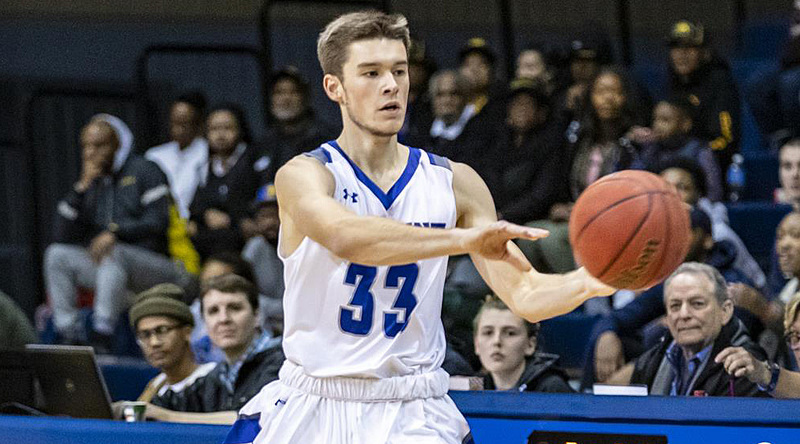 Francis continues to play well, but Wheaton has gotten to a point in the season where they needed to have another option to keep opponents from only focusing Francis. That said, losing to Carroll could be a season-shortening result. There were points in the second half Wheaton was down double-digits. Inexcusable. Unacceptable. Not sure if I learned anything this week let alone you as the reader. Heading into the first Regional Rankings and the final few weeks of the season, I am not sure anything is clearer as to who are the top teams in the country. A number of teams seem to be fading, others surging, and some just coasting along. Best I can tell you is outside of the top four, I am not really sure I have my finger on things properly. I may have a completely different point of view next week and change all these positions radically. Last week was interesting. About midway through the week, it seemed like it might be a somewhat calm week in terms of outcomes and upsets. Then we entered the weekend and it got far more interesting. Big wins, surprising defeats, and incredible endings provided Top 25 voters (in both polls) a lot to contemplate Sunday evening and Monday. The biggest question: Who should be the number one team in men’s basketball? This is about the time of a season when the conference grind does present some interesting results. I am no longer surprised when several different outcomes suddenly change how I am voting or how I perceive teams. The challenge really has become determining who really is good and who may be rising thanks to smoke and mirrors. I appreciate the fact there are 25 different voters from around the country even more in weeks like these as well. We all have different opinions and that not only makes for fascinating decisions, but also great conversation. My chat with Bob Quillman on Sunday’s Hoopsville was helpful and insightful just as my weekly conversations with Ryan Scott has become. It also proves that one can have two completely different viewpoints, and both realize the other could change your opinion. Bob and I debated the “who is number one” question and I’ll admit, I was thinking about changing my decision after a while. He seemed to indicate the same. It could have gone on for hours, because when you start peeling back more and more layers, the more interesting discoveries and more questions are brought up. Voting for who should be number one, or should be in any position on the poll, is not cut and dry even when it looks like it should be on paper. It only gets more difficult and more blurred the further down the poll you go. There are legitimately many teams that one could argue deserve to have some attention for the Top 25. There isn’t a single team in the country that isn’t flawed or unbeatable. I’ve said that since Day 1 of this season. I think we are seeing it more now than earlier in the season. So who is my number one team? Well, I already gave that away multiple times before voting, but here is my ballot for Week 8. Just a reminder, here is how I voted in Week 7. NWU remains Dave’s #1 pick thanks in part to precedent. I am not going to jump off the Prairie Wolves selection just because they lost. I’ve said from the beginning of the season that no team was going to go undefeated. That included NWU. The fact they lost to the second-best team in the ARC on the road is a large reason why I didn’t feel removing Nebraska Wesleyan from the top spot was necessary. I still think they are the best, deepest, most talented team in the country. I also would be hypocritical as a few years ago when Augustana lost their first game in CCIW play (something, again, that isn’t unexpected), I didn’t move them from number-one either. I think Bob raised some good points as to why voting for the Vikings to be the top team in the country would make sense. He nearly got me to change my mind. Augustana does seem to be clicking well, but I am still a little leery of close results against teams that should be tight games in conference play. 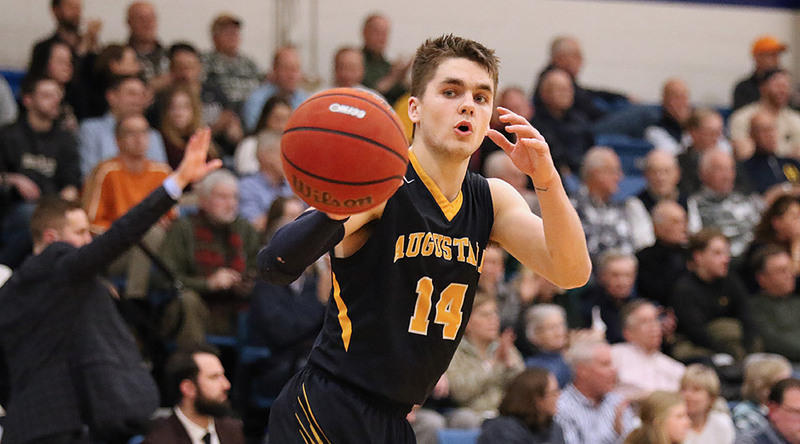 Yes, Augie hasn’t lost in the CCIW this season and that is becoming complicated. If they were to go undefeated (all else being equal), I am telling you now I am going to have to re-examine my vote here. In the meantime, Augustana’s close results in the last few weeks, coupled with a tough stretch ahead (especially on the road), plus the fact Loras has beaten both Nebraska Wesleyan AND Augustana (plus the DII Augustana) this season … gives me confidence in leaving by #1 and #2 picks solid no matter the outcomes this past week. I have said before I think this is the best Pirates squad I have seen on the court. Yes. That includes the overall number one team many moons back. I have also said that while they have the talent, I still am concerned about the drop off on the bench and how they can play “down” to their opponents. The NWC has improved and the bottom teams are no longer nearly as bad, however that doesn’t excuse the loss to Willamette (granted on the road). Those are games Whitworth must win to stay in the NCAA conversation AND allow the committee to get their way and split the Whits come NCAA Tournament time. Now there is also more pressure on the Pirates to win, on the road, at Whitman Tuesday night. I didn’t move the Little Giants down as much as some may have expected due to their loss to Wooster for the following reasons: It was on the road at a difficult place to play; I am now more in the camp of understanding Wooster is a good team; there are plenty of teams below Wabash I still think they are better than. I may still have Wabash higher (and Wooster lower) than most, but I also think Wabash is a very good team. They got into a 14-0 hole against the Scots and stormed back. That speaks volumes. The Continentals made Colby look good … or maybe Colby is good? Hamilton dropped a home game against a team they should have seen coming. The Mules had already knocked off Amherst the night before and had to travel to Clinton, New York. I don’t give Hamilton much slack for losing that game as a result. They didn’t shoot very well, and they struggled to stop a Colby team that clearly was confident, but again Hamilton should have seen coming and was prepared to handle. BTW, 11 turnovers to just five assists… those TOs are hurting Hamilton especially when they are shooting .393 for a game. The Duhawks basically remained stable despite their win over Nebraska Wesleyan. They had lost to Wartburg earlier in the week which meant the game against NWU was close to a must-win. 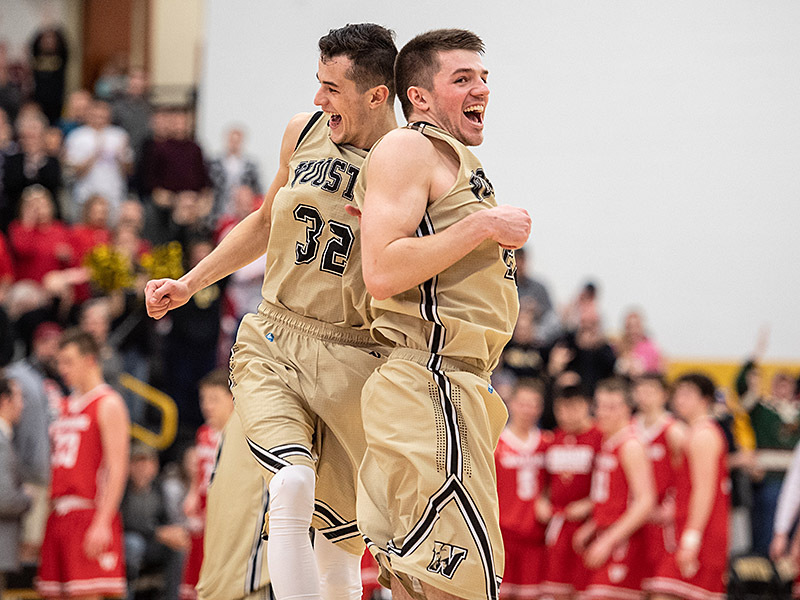 They also were the one team in conference I felt could beat NWU – that seemed clear after they beat Augustana earlier in the season. Loras’ problem is inconsistency (common refrain for many). They lose to NWU two weeks ago by 18 and then barely get past Coe. They blitz Central and then barely get past Buena Vista and lose to Wartburg. Loras is a good team, but they must buckle down the rest of the way especially considering their rival, Dubuque, who already knocked them off this season is next. I considered dropping the Hornets a few more spots, but kind of ran into a bubble where I didn’t think they were worse than those below them. 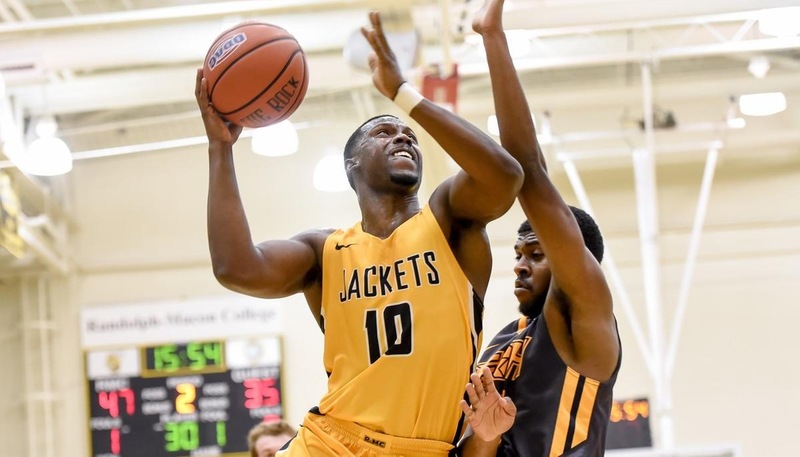 Losing two games last week is tough, though they lost to Randolph-Macon ranked ahead of them (thus expected) and to Guilford that is proving to be a giant killer in the ODAC (and probably underappreciated; clipped the Hornets twice this season). The only thing that bugs me was both games were at Turner Gymnasium. That feels unacceptable. I am not sure if Lynchburg rose too high too soon, but I will be watching games against Roanoke and others to see how they respond. I am also buying into the Sagehens, for now. There are only two things I chalk up to note worthy so far for Pomona-Pitzer: A double-overtime win over Whitman and having just one loss (to WashU following the Whitman game) on the season at this point. There are more question marks when it comes to their schedule than almost anyone else in the poll or being considered. The SCIAC is hard to grasp as so many teams play schedules unrelatable to the rest of DIII, so is a win over Occidental really all that great? But a 14-game winning streak and solid wins in their last three, including against Claremont-Mudd-Scripps, left me very little reason to keep them off my ballot. Welcome to the “Five-Loss Club” of my ballot. I struggled mightily with this part of my ballot. The Eagles are sitting a game out of first place in the WIAC and any team that high should probably be ranked in the Top 25. That said, their losses this season to Ripon, Central, and Elmhurst make one shake their head – because if they are good enough to be near the top of the WIAC, they should be good enough to win those games. Granted, three of their losses came in a four-game stretch in November, but they still lost to Elmhurst in late December. You then counter that information with wins over Whitewater (twice), Stevens Point, and Platteville in conference play and it change the equation again. So, I’m riding what is happening more now than in November … but UWSP and UWP are the next two games on tap. Take note. Despite winning two games this past week, the decision to move the Pointers down was more about where other teams were being positioned. I also felt Lacrosse was playing better than UWSP and I couldn’t justify Stevens Point being higher. So, no fault of their own, but maybe a “heat check” on where I had UWSP in the first place – I didn’t bring them far enough down last week. Similar to UW-Lacrosse, I felt I needed to recognize the “now” from the Quakers versus the earlier season results. They, too, lost most of their games in November. Four out of five to be exact in a six-game, 15-day span. Those losses were all two-possessions or less as well. Since then, they have lost just one game in 13 and have a sweep of Lynchburg and win over Randolph-Macon. The only reason they aren’t head of Lynchburg with that sweep is that five losses and a loss to Roanoke is holding down. There is a real chance they flip with Lynchburg later. It almost feels like the old “NYU Effect” with the Yellowjackets, except that I know they played a pretty decent out-of-conference schedule. However, conference play hasn’t been as good. 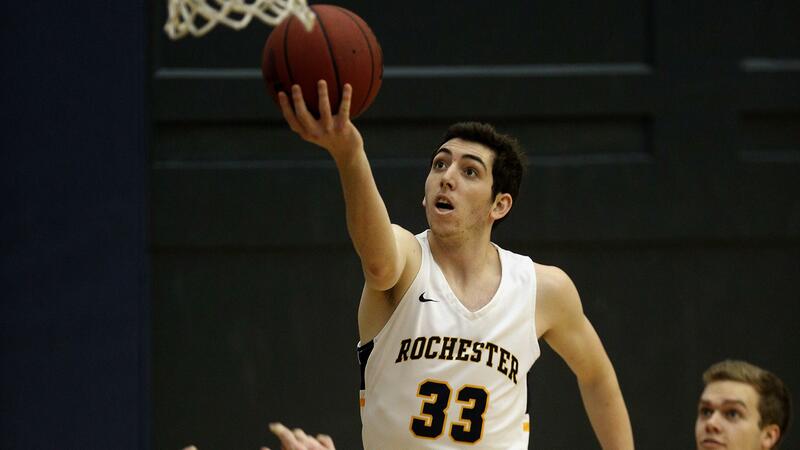 Rochester is 3-3 in their last six games in UAA play and dropped a game this past weekend to, improved, Brandeis. I am just not sure the UAA has a Top 25 team right now. The conference turns the page on the schedule this week and the cream will most likely rise to the top very soon. Then Rochester or whomever (Emory, Chicago, WashU) may reemerge as a Top 25 team. When there is as much parity and diversity of teams in Division III, I struggle to keep a team in the 20s ranked when they take a loss, I figure, they shouldn’t. Losing to Colby, even if it was the first game, is hard to swallow especially when it comes somewhat on the heels of an emotional win against Williams. Colby was also at LeFrak Gymnasium which makes that loss a bit harder to wrap one’s head around. The NESCAC is always a grind, but these are the games the top teams should be winning. The Knights lost the day I put them on my ballot. Dropping the game to Rosemont is not a quality result. Nothing against the Ravens who I think haven’t had as good a season as they should be having, but Arcadia should have dominated that game. They then followed it up with a narrow win, on the road, against a depleted Stevenson unit. 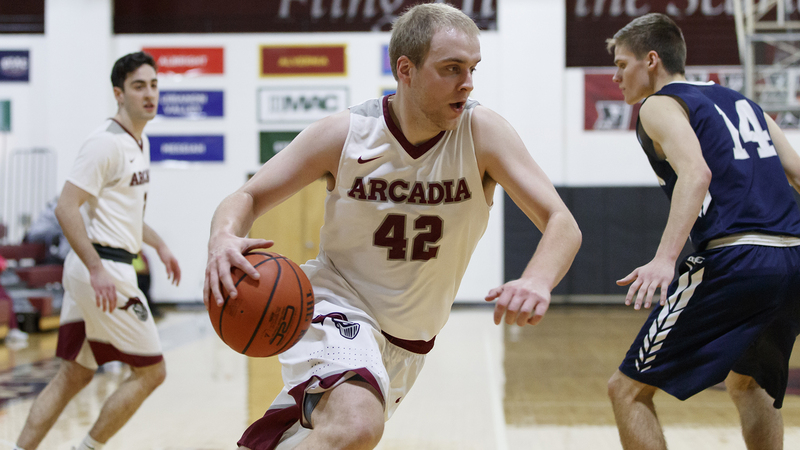 I still buy in that Arcadia is a darn good defensive team that may make waves in March, but they need to refocus here in January and early February. While the Cardinals dropped their fifth game which puts them in the same company as UWL, UWSP, Guilford, and Wheaton, the difference is Wesleyan did it this past week and the rest of that core did not. Furthermore, the loss to Tufts (10-10) doesn’t look as good as it did in the last few years. The Cardinals continue to be plagued by inconsistency, by my vantage point, and can ill-afford to lose very more games if they have NCAA hopes. There you have it. Yes, there are a lot of teams I don’t have on my ballot that some feel should be there. I feel they have a place as well, but I don’t have more than 25 slots. I went through a lot of versions that had the 18-25 positions constantly being erased and new teams inserted. This was the best I could settle on for this week. Next week could be a completely different story. Don’t forget to tune into Hoopsville Thursday and Sunday nights throughout the season. While we are normally on the air 7-9 PM ET those evenings, Thursday this week we have the annual “Marathon Show” which will start at 12pm ET and run until about 8pm. We are also moving Sunday’s show to Monday due to some conflicts (and Super Bowl Sunday) and start at 7pm ET. To watch the show, log onto www.d3hoopsville.com or follow us on Twitter (@d3hoopsville) and Facebook (www.facebook.com/Hoopsville) for direct show links and more information. Welcome to my D3hoops.com Men’s Top 25 ballot blog. If you are familiar with this and have read it before, thanks for coming back. If you are new, welcome. I try and do this as often as I can – weekly is the goal – to give those interested insight on how at least one voter approaches the time and work to put a ballot together and how this voter ends up voting. A reminder that I am just one voter and I don’t expect any other voters to vote like I do, nor necessarily agree with my approach or reasoning. My take on things may be completely off one week and spot on the next (ok … maybe not that last part LOL). This week I found my ballot had developed at least three “sections.” A top tier of team I am very comfortable knowing are some of the best in the country. A second tier I think are teams who are very good and could compete with the top tier but have shown flaws or inconsistencies so far this season – or I am just not sure are as good as their resume seems to indicate. Then a third tier of teams that are flawed, are not rising to their potential, or are difficult to truly grasp how good they are … or are not! Whitman Blues are one of five teams Dave is comfortable saying are the best in the country. One thing that has developed for quite a few weeks, I’m pretty set with my top five. They have shown to be the best in the country and no other teams have shown they should be in that group. It is the ballot spots after the top five where things get more interesting. I can explain it more later, but I found myself in an endless loop near the end with the final five, maybe eight, poll positions. I could insert a number of teams that both felt like Top 25 teams, but also didn’t feel like squads that should be there. There are probably 15-20 teams I could slot into those five to eight spots and no combination was going to make me feel I had the right teams in the right spots. In the last few blogs, I shared my thoughts on all the teams on my ballot. I won’t be doing that moving forward. I will select a few based on either movement up or down, being added or removed. If you are interested in my thoughts on teams, I have links shared with each ballot throughout and at the bottom of each blog. The one thing I do feel comfortable saying: there are a lot of very good teams in Division III men’s basketball. We expected that fact this season and while some teams haven’t lived up to expectations, others have emerged who we are now talking about. March is going to be wide-open and the national committee is going to face a real challenge trying to balance the bracket the best they can with the limitations they are given. Allen County War Memorial Coliseum – destination for DIII men’s basketball this season. I was talking with a voter and another person familiar with the process recently and we all agreed, there are 12, maybe more, teams who could get to Fort Wayne and battle for a national title. Whoever wins this year will not have taken an easy road – no matter where they are in the country. With that, let’s get to my Week 7 ballot. As a reminder, here is how I voted last week. For reference: NC (No Change); NR (Not Ranked). I didn’t want to move the Continentals up at all, but I due to other results and decisions someone had to fill the six-spot. Hamilton got passed SUNY Geneseo in non-conference action, but their only conference game, against Amherst, had to be postponed due to the massive winter storm (I don’t follow the winter storm names, crap; read more why here). That game would have been very helpful and Hamilton benefits as the result of there being no game. Turnovers are still a concern for me especially in conference play. The Tommies continue their meteoric rise on my ballot (and the overall Top 25 poll) thanks to other results and John Tauer’s ability to get the most out of his team … and get them to focus on doing just that much better than their opponent. UST being back in the picture really makes the Central/West Region national conversation more interesting and complicated. Voters cast their ballots before St. Thomas’ game against St. John’s Monday evening. 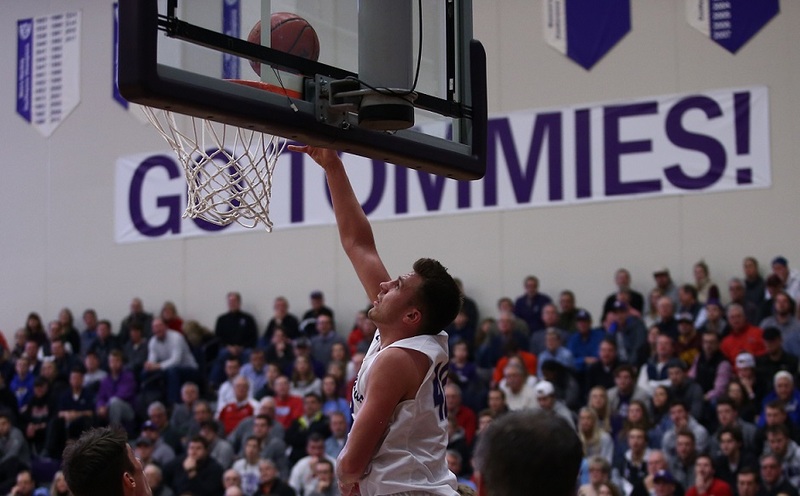 Tommies prevailed in overtime, but the two teams proved to me why the MIAC has two serious national contenders this season. The Little Giants moved up, like others, mainly because of other results with other programs. I think Wabash is a good team, but this is starting to feel a little too high. I am not sure they are a top ten program. I might be wrong, but I am still leery with this position. These kinds of developments, along with Hamilton’s positioning, usually leads me to completely blow up my ballot in the near future. The Johnnies are a good team, but they didn’t have a good game against Carleton on Saturday. Stokman, one of the better guards in the country, was 0-10 from the field! Just one or two shots made and SJU is headed into their game with St. Thomas 14-1! I still think, despite their ranking, St. John’s is an under-appreciated program who should prove that between now and March. Of course, SJU ends up losing to UST in their first rivalry game of the season on Monday evening. My thoughts, compiled before the game, aren’t changed too much with that result. However, it did change my thoughts on the control St. John’s has on the MIAC and if they can use the home court to their advantage. Williams dropped two games last week to Amherst and Middlebury which caused them to tumble a bit on Dave’s ballot. The Ephs had a bad week. First, they dropped their rivalry game at Amherst on Wednesday. Okay. That happens. One should expect that in their rivalry. It ended their unbeaten streak to start the season. I wouldn’t have done much with that. However, Williams then played host to Middlebury and lost that as well. That one is harder to figure, especially coming after a loss when you expect teams to be more focused on being sure to play well. I have probably been soft pedaling the Hornets for a few weeks now. I haven’t really bought in until now, though they are also in the midst of a very challenging stretch of games. They have gotten through Virginia Wesleyan, Washington & Lee, and Eastern Mennonite. However, the stretch continues with Guilford, Randolph-Macon, and Roanoke in the next three. (The ODAC’s demise is greatly exaggerated.) One little bird shared with me that Lynchburg reminds them of Ramapo from last season. It’s an interesting comment. I look forward to watching at least the next three games. Bob Semling always seems to have a team clicking defensively, but it seems the Pointers are off their defensive game lately. Williams wasn’t the only team who had a rough week. UWSP has had a rough two weeks. They have lost three of their last four to Oshkosh, La Crosse, and Platteville. Sure, the WIAC is the toughest conference in the country currently. Losses aren’t a surprise, so dropping a game to UWO was expected. The UWL outcome was a bit of a surprise, but the Eagles are also having a very good season. It was the UWP defeat that raised my eyebrows. The Pioneers were expected to be a good team this year (I had them on my ballot early in the season), but they have been very inconsistent. Having lost two of three heading into the UWP game, I figured UWSP would respond and show their medal. It didn’t happen. Feels like the rip cord suddenly got pulled. I may have been completely wrong when I felt this team was reminding me of the 2015 national champion squad. Ryan and I discussed the Pointers during the “Top 25 Double-Take” segment on Hoopsville this past Sunday night. The win over Williams gave me some reassurance that the Mammoths were maybe as good as advertised. I just really wish they had the Hamilton game to at least finish off the week and give me a result to counter-act the Williams game. Would they fall trap to Hamilton after the emotional win against the Ephs? Would they actually finish the week with another strong victory? How would it all play out? Amherst didn’t have the game thanks to Mother Nature, and it left me a little leery with this selection … for now. Side note: Our thoughts are with Dave Hixon and his family as they mourn the death of his mother last week. The Knights are one of those teams that has been flying under the radar for a while now. They are in one of the most competitive conferences in the country (MAC Commonwealth) that just hasn’t produced a national power. When talking to those who play against Arcadia, they site their solid defense, senior core, and a sophomore who may be the best player in the conference. The challenge with Arcadia is that their schedule doesn’t reveal a lot. You actually get more out of their losses to Salisbury and Swarthmore than their wins. My voting luck can be wrapped up with Arcadia quite well: I buy in and put the Knights on my ballot, and they follow it up immediately with a loss to Rosemont Monday night. This is why voting near the bottom of the ballot can cause one to pull their hair out. Those who know me might be surprised I dropped the Thunder so severely when they lost to second-ranked Augustana. As I mentioned last week, the Thunder are living and dying on the play of Aston Francis. He played well. That isn’t the issue. It’s the fact that Wheaton now has four losses on the season, and I am expecting a few more before things are all said and done. At some point, I want to see them beat a significant team. They upset UW-Oshkosh early this season which put the Thunder on everyone’s radar (along with Francis’ play). Since then, Wheaton hasn’t beaten a significant team while mixing in losses to Illinois Tech and North Park (4-14!) – they escaped NPU (82-75) in their rematch last week. Can I keep voting for a team which only has one significant result on it’s resume? Plattsburgh’s Jonathan Patron is most likely not as happy with the position the Cardinals currently find themselves in the SUNYAC. Going 0-2 in conference games last week was enough for me to step away from the Cardinals. Jonathan Patron is an outstanding talent, but teams seem to have clipped Plattsburgh’s wings. They just don’t feel like the same, strong team we saw last season. They now have three losses in the SUNYAC which puts them 2.5 games back of first place (Oswego State) and tied with Cortland who just beat them. All three teams in the top four (Oswego, Brockport, & Cortland) have defeated the Cardinals so far this season. Coincidentally, Plattsburgh was another team Ryan and I discussed in the “Top 25 Double-Take” on Hoopsville back on January 13. I mentioned my nervousness last week about the Fighting Scots. The win over Nichols was good, but they had a lot of results that were tighter than I was comfortable with for a Top 25 team from the CCC. Gordon lost to Western New England this week and I decided it was enough to pull them from my ballot. You could say I was looking for an excuse, but harder to make that excuse when a team keeps winning. As I indicated above, the last five to eight slots on by ballot could be a mixture including ten to twenty different teams. I have gone ‘round and ‘round this week and in the last few trying to determine who I think should be in those slots. I know other voters are doing the same, though I am surprised there aren’t more teams getting votes each week as a result of those debates. And of course, my luck showed with the choice of Arcadia only to have them promptly lose to Rosemont on Monday evening. Those are literally head-shaking moments for me as a voter. So, the bottom five to eight can basically “represent” the third tier of men’s basketball which includes several teams and not all can be fit in. That’s little solace to those fans (even coaches) who want to see their team on someone’s ballot and especially the poll, but we can’t vote for everyone. Some may notice there are several one, two, and three loss teams I am not voting for that I have lumped into this third tier. Those teams just haven’t convinced me they are as good as gaudy records seem to indicate. Time will tell which is more accurate, I’m wrong or the records are gaudy, with each individual team. Before the holidays, I showed how I voted each week so far this season. If you haven’t seen that, click here. Since I missed last week’s blog, here is how I voted in the first poll after the holidays (Week 5). Remember, this was last week’s ballot (Week 5). How I saw things following the holiday season. Now with that out of the way, let’s chat about this week. We just got done with a heck of a week of basketball. Some tremendous match-ups from Whitman at Whitworth to Top 25 battles in the WIAC, OAC, and elsewhere. There were even non-Top 25 match-ups in conference play worth tuning into. It felt like on any night there was several games worth watching. And with parity, I knew there would be outcomes we either didn’t expect or games that would be closer than one would figure. Carthage nearly beat Augustana was one game that jumped out at me. As good as Augustana has proven to be, Carthage had them on the ropes. The rest of the games showed up in the number of Top 25 teams that lost – twelve loses on my ballot out of ten teams and teams seven through ten taking a bump in the night. But I actually loved it. Well … to a certain point. I feel like I’m back at fishing for teams to fill out my ballot. There are so many teams I think are Top 25 worthy, but when push comes to shove and I have to fill out the ballot there aren’t any easy choices. Too many times I want to chose Team A, but that provides Team B and C an argument to be on the ballot, which then reveals in their resumes that maybe I should consider Team D. However, if I consider (or even insert) that team – or any of the rest – then Teams E & F have valid arguments. It seems to never end. There are no obvious choices. Every team has flaws. Every resume has holes. Of course, that means we are going to have a thrilling rest of the season and an outstanding March. 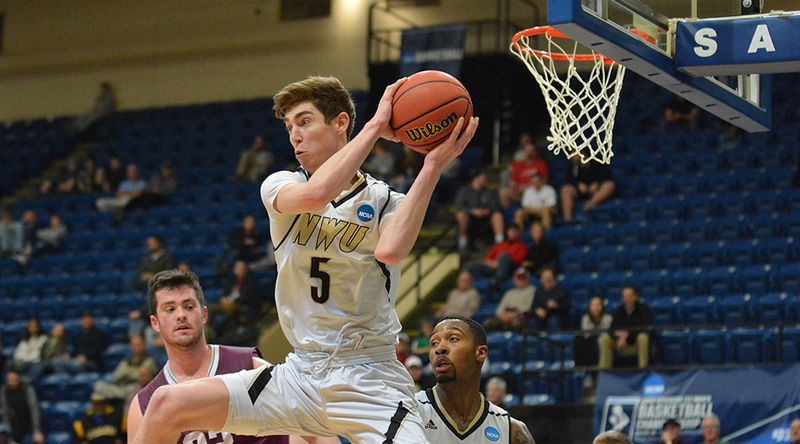 Zach Hiller is one of five NWU players whose scoring average is in double-figures. There has been little to no reason to consider moving the Prairie Wolves off the top spot. All 25 voters have them number one and there I can’t see why we would move off that choice. Their depth, abilities, and coaching are outstanding. That said, they are a bit hobbled right now which could make them susceptible. They also worry me with their habit of playing to the level of their opponents. They end up winning games big a lot of the time, but some games are closer for all 40 minutes, or are closer than they should be in general, and that worries me. While Carthage certainly gave the Vikings a moment, it shouldn’t surprise. Augustana will be challenged in the CCIW. They are still a darn good basketball team with plenty of options offensively and a very good defense. I grow more impressed each time I watch the team. The win over Whitworth (and surviving the rest of their schedule last week) was enough for me to move the Blues back up. They still worry me with the same habit of playing to their opponent’s level to some degree. 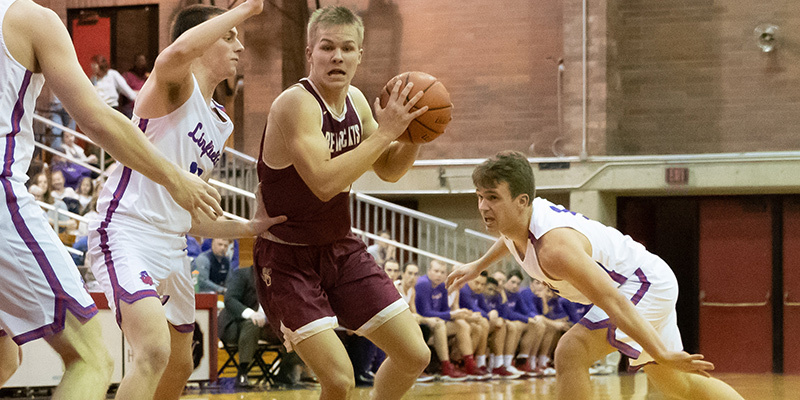 They also allow teams back into games – Whitworth last week after Whitman lead by about 13 late in the game; 1st half against Linfield when it seemed the Blues would blow the Wildcats out of the building. However, they also have plenty of offensive options and are one of the most aggressive defensive teams in the country – and depth is helpful. 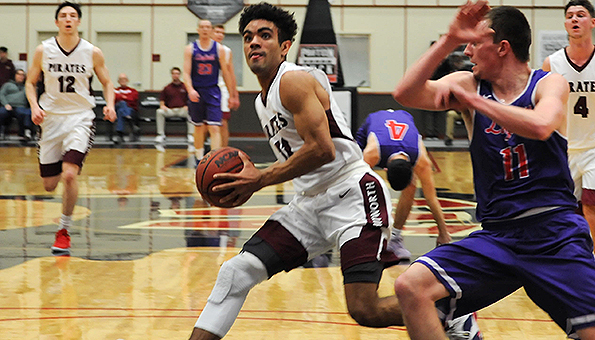 Kyle Roach can be a single-man wrecking machine for Whitworth, but he’s also got a lot of teammates who can hit big shots when called upon. The Pirates have impressed. Seeing them in Las Vegas was beyond helpful. Seeing their size and speed in person helped translate what I had been seeing on only video. No team is perfect, including Whitworth. I’d love to see them utilize Ben Bishop more, Kyle Roach can sometimes lose focus (which has many different results), and their lack of depth can be a concern. They have seemed gassed in the second half of games and they, sometimes, don’t adjust well to officiating and that means the deep bench is put in at times the coaching staff probably rather not. However, they also proved against Whitman how they can also overcome nearly all of those and still win – or come close in that case. This may be the best Whitworth team I’ve actually ever seen. The Titans only moved down a slot because I needed to move Whitman up. UWO has proven that despite a major coaching change in the off-season they are still a very difficult team to face. The challenge is going to be the rest of the WIAC. Getting past UW-Stevens Point the first time around was a good start, but the conference slate is going to be brutal. As long as the Titans can take the lumps and not get too beat up, they will make the run to Fort Wayne rather interesting. The Ephs are off to the best start in program history and that should worry people. They broke the record of 14-straight wins to start which was set in 2002-2003 – when they went on to win a national championship. What is interesting is they start one of the larger five – three forwards, a center, and a guard. It isn’t typical and gives them plenty of advantages. Of course, like most teams, focusing and playing full 40 minutes against every opponent is key, but Williams has shown with two wins over Wesleyan and a successful trip to Maine already they are in a very good place. I made a significant move up with the Johnnies for several reasons. First, I do think St. John’s is a good basketball team. They have shown that so far this season. The other, so many teams who were ahead of them stumbled this past week and I don’t think are playing as well as SJU right now. The interesting thing about the Johnnies is how I think they are actually flying a bit under the radar. They just may not convince people how good they are until much later in the season. 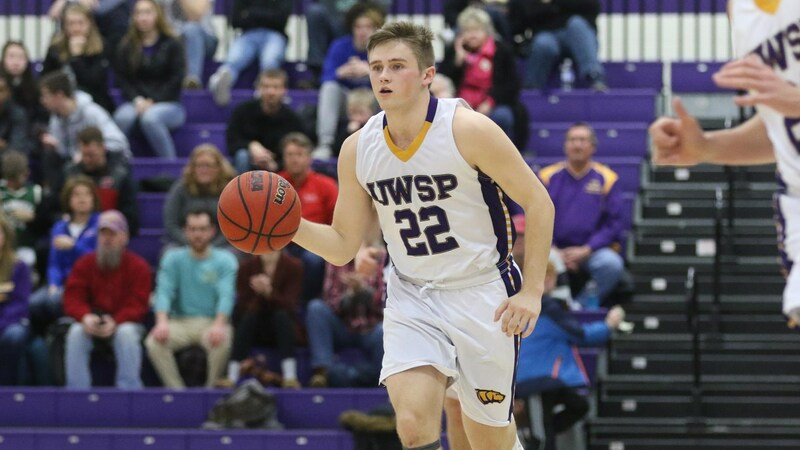 Yes, the Pointers lost this past week, but to a team ahead of them in the polls and it doesn’t take away from the fact that UWSP is a good team. One of the trademarks of Bob Semling teams is solid defense. When Semling has a chance to coach a core group for a long time, like four-year seniors, the defense is always ridiculously good. Last time we saw this kind of scenario: 2014-15 and a National Championship. Like for UWO, UWSP has to get through the conference grind. I wanted to move the Continentals down a little more, but there was only so far I could move them down off a single loss to Wesleyan. The concern is how much Hamilton tends to throw the ball away. Ryan Scott is the first who made me aware of the turnover problems and it causes many games to be far closer than they should be. It also allows opponents like Wesleyan to take full advantage. Hold on to the ball, Hamilton! UST has returned to Dave’s Top 10 – unexpectedly. Just how good are the Tommies? I didn’t think I would have any reason to be voting for the Tommies this season, nor did I expect to jump them into my Top Ten. The scary thing is UST has quietly returned to the fray and every time I look they have surprised me again. Their only flaw is the first game of the season. They have dominated some good teams including UWSP (I may have to move UST above UWSP at some point, FYI). Their battle with Augsburg was one of those classic in-conference games, but may have also shown some flaws with the Tommies. As more attention is given to their program, the question becomes: can they live up to the pressure? Much like St. Thomas, the Little Giants have been impressing at every turn. 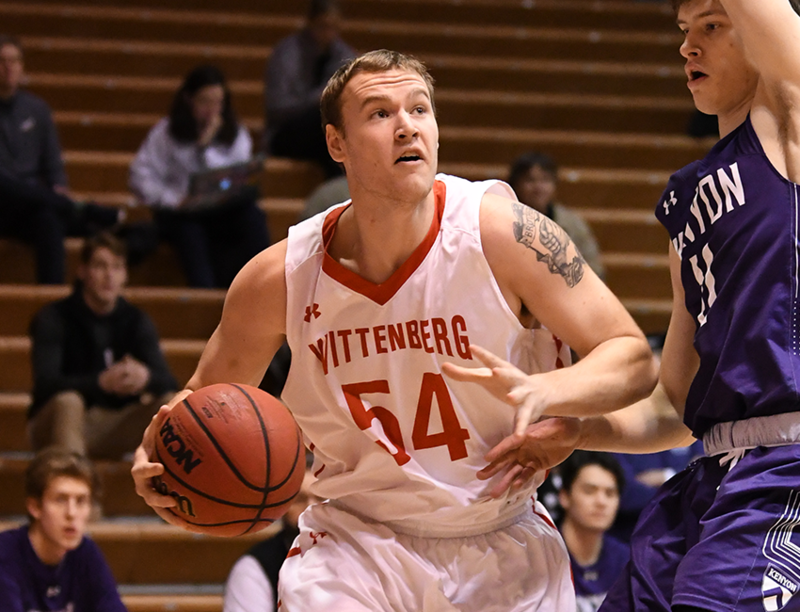 They have taken on every team in their conference, including Wittenberg, and come away with wins. Their loss to Wilmington is the only question mark I have on their schedule. Can they continue this run? It has been awhile since they were in the national spotlight … and from when the entire conference was gunning for them. As they turn into the second round of conference games, I will be intrigued in how they stand up. The Yellow Jackets intrigue me. They have some losses that maybe should be expected (parity means losses, right? ), but they also have wins that make you turn your head. I am not sure as of yet what they are doing so well or what causes them to derail (like against CNU and Guilford). They are about as high as I feel comfortable voting for them – maybe a little too high – but they do deserve to be here. Well hello Crusaders! Wow! I decided to insert them all the way up in 13th on the poll, after not voting for them at all previously, because I felt that I both waited too long to start voting for them and they made a statement this past week. 12-game winning streak with the last three games being wins over Mount Union (home), Marietta (away), and John Carroll (home). The win at Marietta jumped out the most, but to beat two teams at the top of the conference and another who is known for being difficult to play was impressive to me. I did wait to vote on them last week because of this schedule, but I also feel I should have voted for them sooner none-the-less. The Pioneers drop was multi-faceted. The first reason is because they obviously lost to Capital and they had lost two of their last five. I have mentioned previously that in other seasons Marietta seems to have these moments … where they take a few losses and seem to not live up to the hype or ranking. Ryan on Sunday’s Hoopsville put it in a way I think is better to say: The Pioneers sometimes don’t live up to the expectations others (we) set. That is probably a far fairer way of saying it. Per that, I felt I needed to lower the expectations that I have. To not get over-hyped. They are good, but that doesn’t mean the bar gets placed higher and I get disappointed when suddenly they take a loss that doesn’t meet that bar. That’s not their fault. That also doesn’t mean they still aren’t a good team. They seem to have some pieces in place that makes them better than in years past – if that is possible. I made a mistake thinking I had voted for the Garnet last week. They certainly were on my list of teams to consider, but I forgot I didn’t put them on my ballot. That was also a mistake. I most likely have been putting too much stock in back-to-back, buzzer-beater, losses in conference earlier in the season. Seeing Swarthmore in person against McDaniel last week impressed me. I realize they may have had the perfect game, but there is more there. They are deeper team than I’ve seen before, their size and skill inside is tough to handle (rebounding and block numbers are insane), their offensive game-plan (especially the inside, outside game) is tough to stay with, and players like Cam Wiley have seemingly settled into roles that actually make them more dangerous. What is the most impressive is the defense. Opponents can’t get good looks inside, they close out on outside shooting very quickly, and they throw curve balls constantly. Their defensive numbers are crazy good, though their steal numbers are shockingly low considering. Swarthmore is better than last year. Moving the Duhawks down two spots is simply repositioning them while also moving other teams into the poll. Loras is good, though they are showing some inconsistencies. Losing to Nebraska Wesleyan is the least shocking result to see. Their close game to Coe is a little more interesting. That said, the IIAC, eh, ARC is far more competitive than people may realize. I like the game Loras puts together. They also have very good results including a narrow win to Augustana – that game still impresses me. This might surprise people on a team that only lost their second game of the season last week. However, the Engineers are dealing with key injuries. One expected starter hasn’t played the entire season. Another key player has been injured lately and it’s unclear how long he may be out (from what I’ve learned). And a third injury forces the team to go deeper on the roster. That said, they also seem to be a darn good team. The loss to Emerson is odd because I would have thought it would lead to a loss to Wheaton (Mass. ), but it didn’t. Larry Anderson is a good coach. I am watching to see how they continue to react to the latest set-back. The Cardinals moved down, much like Loras, because I was readjusting teams this poll. I can’t put a finger on who Plattsburgh is this season. We all know how good Jonathan Patron is, but I can’t get the memory of how they left the NCAA tournament last season. I am not grading them on that result, but I am trying to figure out just how good Plattsburgh is this season considering there isn’t much to base anything on. Their schedule isn’t one that stands out. The win over Middlebury was good; the loss to Brockport (10-4) is hard to read into right now. I am actually all over the place with Plattsburgh, so I am comfortable with the Cardinals being in a 15-20 slot. “As goes Francis, so goes Wheaton,” says Dave. As goes Francis, so goes the Thunder. That may not be completely fair, but it is pretty close to accurate. Aston Francis has had one of the more amazing seasons, so far, that not many in recent history have had. Incredible, buzzer-beating, game-winning shots, awe-inspiring offensive games, and he is averaging more than 30 points a game! However, no one else is in double-figures offensively. He also leads the team in rebounding as a 6-1 guard. That’s pretty impressive, but I think it also would be concerning. Francis needs a second option that is going to hurt opponents. Until that really develops and is consistent: As goes Francis, so goes the Thunder. I’ll admit, I don’t know what to make of the Hornets. Their lone loss is to Guilford (what is with the Quakers?!) and they have win over Emory & Henry, but they haven’t played RMC or Roanoke in conference play as of yet. They also have close results against opponents that seem they should have had easier times with (darn paper match ups!). I just can’t figure out if the 15-1 record is for real and I am completely low-balling Lynchburg or if it really is smoke and mirrors. Help! It was a rough weekend for the Yellowjackets in their trip to Chicago and St. Louis. Losing both games caused me to seriously consider removing Rochester from my ballot. That said, I also appreciated that Rochester has had a pretty good season so far. They seem to be one of the more intellectual teams in the Top 25 – that being they sometimes accomplish things because they figure it out on the court, not in a timeout or at practice. They adjust in the moment. It didn’t work out on a rough trip to the Midwest, but that doesn’t discount they may be the best team in the UAA – though, Chicago has made a serious claim for that as well. The Fighting Scots have impressed. They have rolled through a lot of teams this season including Nichols and Endicott recently. However, a lot of their results are maybe too close and that could bite them. They also don’t have an overwhelming resume which certainly makes me wonder if I am buying stock a little too soon. The CCC having two teams on the ballot is pretty good for the conference, but much like Gordon the Bison have an interesting resume. They got into the headlines for the wrong reasons at the start of the season, but they also have dominated opponents including Trinity and Wesleyan! However, the loss to Salisbury was somewhat surprising and then Gordon nipped them. Honestly, I’m not that sure Nichols isn’t the better team in the CCC despite a Gordon victory and that only one of them should be ranked … but these two have to show me more before I pull that rip cord. You can’t escape seeing the Cardinals involved in important results every week. They lost games earlier in the season to Nichols and Wesleyan and those results weren’t close, but important none the less. But more recently, they have wins over Plattsburgh State, Middlebury, Hamilton, and Amherst – all in the last six games. A lone loss to Williams in the middle of that stretch. Of their four losses, three of them came in a four-game stretch that encompassed less than two weeks. Wittenberg fell out of Dave’s ballot after a rough stretch the last two weeks. Losing three of the last four, I just couldn’t justify holding on to Wittenberg. I, arguably, had them too high to begin with. I have had this mentality that they were a better team and positioned to do great things this season. I don’t know where I had that thinking as I can’t find my notes on it (for some odd reason). They are 11-4 and probably still a good team, but … three losses in four while playing the both the top and bottom of the conference. I really like the Blue Jays. If I had gotten my blog out last week, you would have read about how impressed I was in Las Vegas (though, you could have heard that on thought on Hoopsville as well). Despite losing two games, I thought they were the best two-loss team we had ever had at the D3hoops.com Classic. They had lost Connor Delaney, but they didn’t seem to show that in Vegas. However, they followed that up with some time off and then a loss to Muhlenberg. I realize the Mules are tough, but it was a home game and that shouldn’t have happened. JHU, though, is on the short list to get back on my ballot. I really like the pieces they have in place under Josh Loeffler. I wasn’t all that confident voting for the Sea Gulls last week. They ended up being the last team I wrote down. I should have gone with Swarthmore, but after going around and around with it, I went with “one loss to Rowan” over Swarthmore’s double-buzzer-beater results. Probably not a smart choice. Salisbury is having a great season, but I just can’t really buy in. They followed a loss to Mary Washington (who had just lost to Frostburg) with a barely-go-by win at Southern Virginia. I know those are back-to-back tough road trips, but I just can’t buy in. The Royals were the last undefeated men’s and women’s combo in Division III. Impressive. Also, any time I talked to a coach who had played them or seen them, the quotes were usually “really good” or “impressive.” However, this past week some of those same coaches changed their tune. Seems some injuries have gotten to Scranton and back-to-back losses to Elizabethtown and Moravian weren’t pretty. From all reports, this Scranton team is legit. I am going to dive in deeper soon enough, but I just didn’t feel they were playing their best basketball since the holiday break. There are a lot of teams I am considering each week. I am also considering a lot of “new” teams which is fun. The last ten slots are always full of question marks, though one could argue the entire Top 25 is full of those as well. There are some teams that feel too high, but those slots have to be filled. I am sure I am missing others, though I do my best to check every conference for an outlier who should be considered. I may be putting too much stock in teams many feel aren’t that good. I am sure I am not putting enough stock in teams others think are stellar. That’s the great thing about this … so many different opinions. I’m just one vote of a total of 25. For much of this season (and recent seasons), I haven’t seemed to be on the same page for half my ballot. This week, I saw teams I jumped significantly also jump in the polls. Seems maybe I am more in tune with the rest of the voters than I have been prior. It also just could be dumb luck. There are teams even as I look at my ballot even now I question why I voted for them when there are others sitting on the outside. Parity has produced not a lot of great teams, but a lot of good teams. Trying to figure out what good teams are Top 25 teams is the most challenging part. Until next week … enjoy the games! And don’t forget, Hoopsville is on the air Sunday and Thursday nights starting at 7:00 p.m. ET – with Sunday’s show featuring the “Top 25 Double-Take” with Ryan Scott. We will either give you our Dubious, Dark Horse, or Debatable selections each week. Or we will “Buy or Sell” on squads both in and out of the Top 25. For more information on the show, go to www.d3hoopsville.com or follow us on Twitter (@d3hoopsville and #Hoopsville) or on Facebook (www.facebook.com/Hoopsville). Edit: Earlier version erroneously indicated Williams had beaten Hamilton twice this season. That was supposed to be Wesleyan. It was also indicated Loras narrowly lost to Augustana. That was meant to say “beat.” We also indicated Plattsburgh beat Brockport – NOPE! We know they lost to Brockport, but apparently we shouldn’t be writing this thing late at night. Note taken. Those have been corrected. We apologize for the mistakes. Pat Coleman: Thanks for the great analysis! Dave McHugh: Yeah… meant to fix that and never went back to do it. Will do so now. Sorry about that.